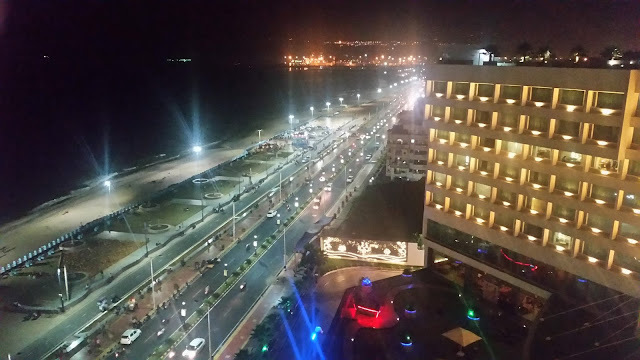 Tatva is promoted by the Hotel Rajdhani group of Hyderabad. 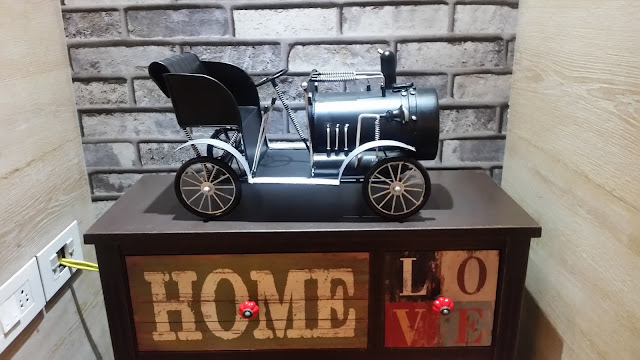 The restaurant is located on the busy Road No 36, and has two sections – the front has a casual coffee shop décor with miniatures of vintage cars whereas the second room inside has the look and feel of a fine dining restaurant. They have a couple of attractive PDRs too, providing privacy a closed group needs. Chef Naveen, earlier with the popular Jonathan’s Kitchen is at the helm of the culinary team here. I was always impressed with his food styling skills at Jonathan’s, so was looking forward to the blogger meet. 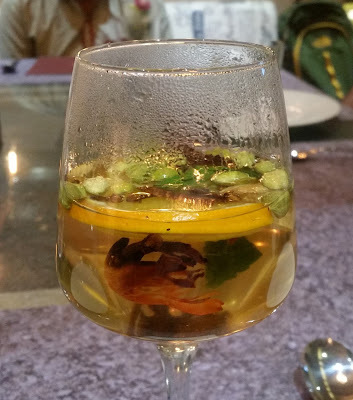 I was welcomed with a nice-looking mocktail called “Hot Toddy”, a refreshing hot apple drink with whole spices like cardamom, cinnamon, cloves and nutmeg thrown in. It was an ideal start to a winter evening. The menu lists items from India, Chinese and Continential cuisines, in fact, one must appreciate the sheer range of items from sizzlers, pastas, burgers, hummus to Indian and oriental dishes. 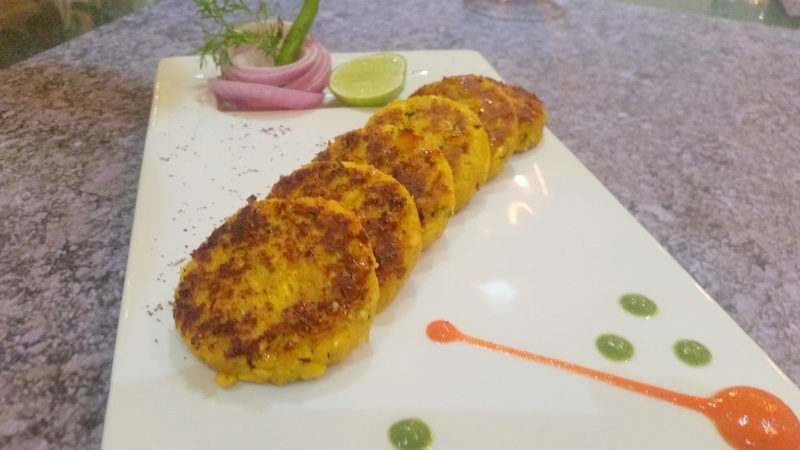 We were served Kamalkakdi Ke Galauti, the famed Awadhi kabab made with lotus stems. The slightly moist version of the kabab was served the usual way on small parathas. I have been subjected to many experimentations with veg galautis, using mushroom, jackfruit, and colocasia, this is a new one for me – it worked quite well. 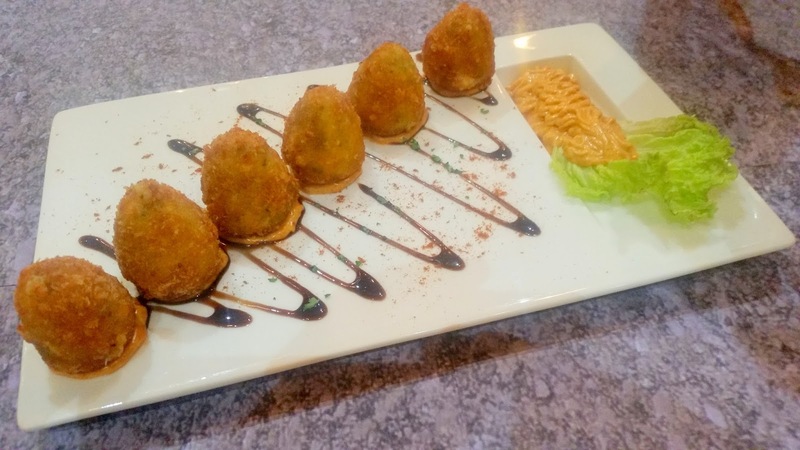 From the Mediterranean cuisine, it was the turn of Falafel and Hummus. 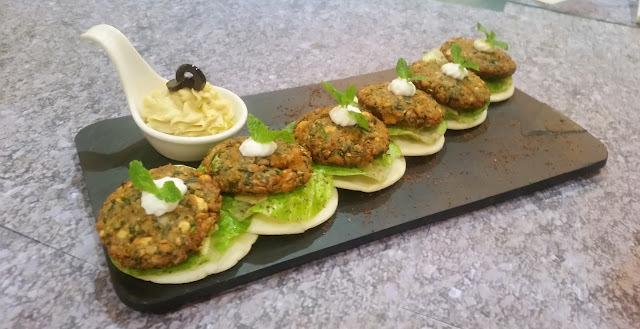 Attractively plated with lettuce leaves and soft pita, the falafel was decent and more importantly not too oily. 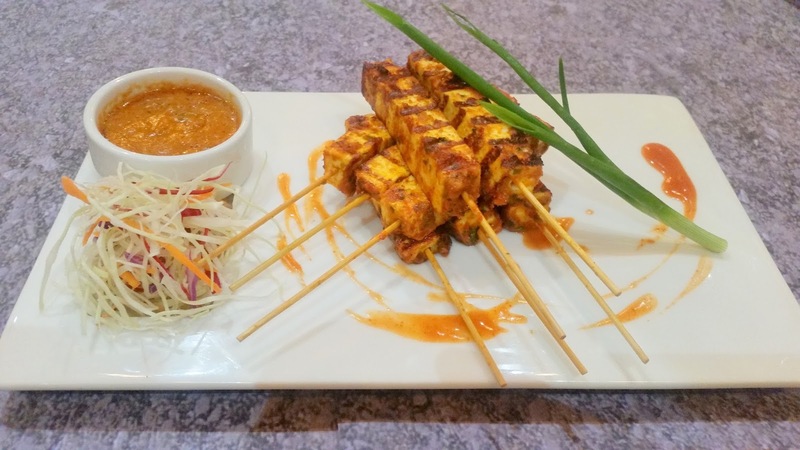 Smoked Paneer Tikka had paneer cubes in a spicy green marinade. I really liked the preparation, especially the basil laden marinade. The other paneer dish, Thai Paneer Shashlik was preparation on sticks served with a nice oriental dip. The other starters served included Makai Di Tikki, Jalapeno Poppers, and Crackling Spinach. The poppers had a few varieties of melted cheese with shredded jalapenos inside, which explode in your mouth giving out a myriad of tastes. This was served with some tasty mayo. The deep fried and crispy Crackling Spinach was a generally liked dish. The main courses also demonstrated the chef team’s ability to handle multiple cuisines. 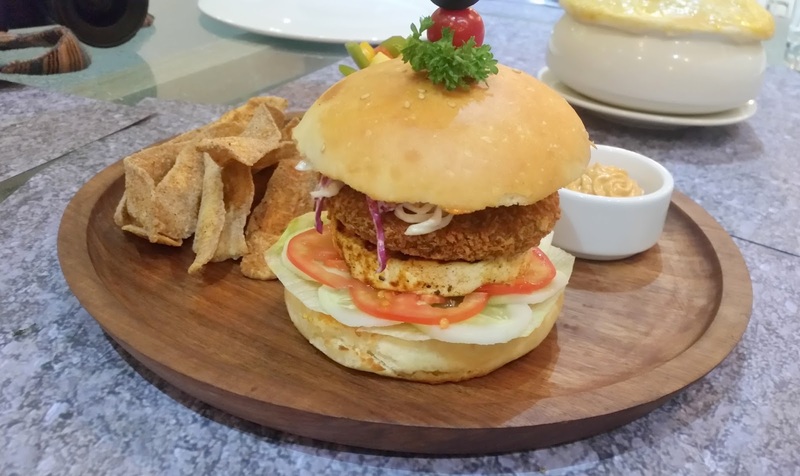 Tatva Jain Burger is a signature dish of the restaurant. The burger does not use any onion or garlic to make it suitable for the Jain community. Actually, many dishes on the menu are complaint with Jain food norms, I noticed a Jain Sizzler on the menu too. The Indian curries deserve a mention here – The rich Parda Paneer had a balanced taste and was an absolute delight with the Kulchas. Kamalkandi Lababdar was a tomato based preparation of the uncommon lotus stems. 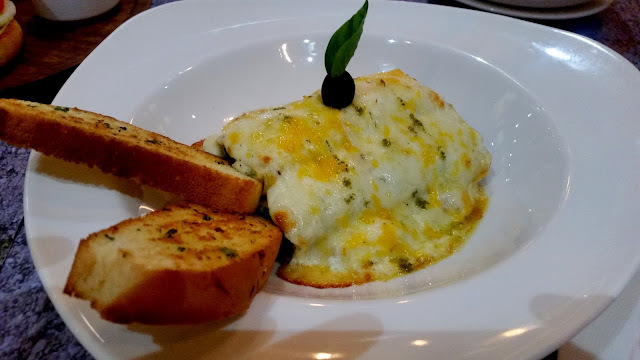 Canneloni Florentine is one dish which is a must try here. The cheese and spinach based filling inside the pasta went well with the garlic bread served with it. The oriental tastes were represented by Burnt Garlic Fried Rice and Hot Bean Tofu. 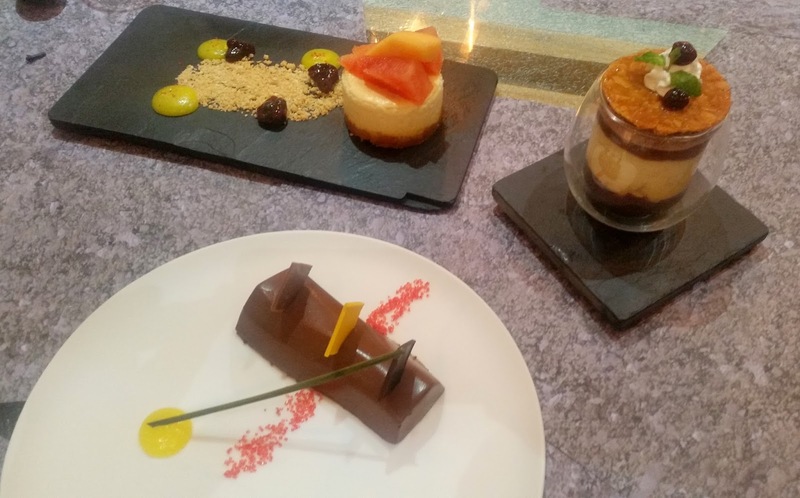 The dessert platter included four dishes – Baked Cheese Cake, Apricot Delight, Tres Leche and Chocolate Mousse. As I was too full already (and am not a dessert person as well) I had a spoonful of each. 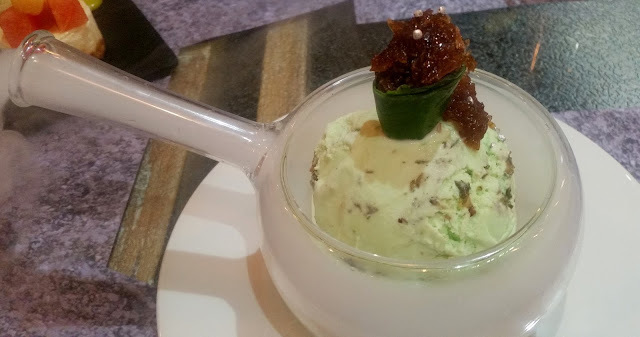 However, the last dish, Pan Tantra or pan flavoured ice cream with litchis and gulkand was a clear winner for me. The combination resulted in a pleasant feeling in the mouth after a satisfying dinner. On my next visit I am surely going to order this again. For the quality of food served as well as the ambience, Tatva is not very expensive – the highest price tag for a dish was Rs 425. If you are vegetarian or you are entertaining a vegetarian guest, Tatva should definitely be your destination. 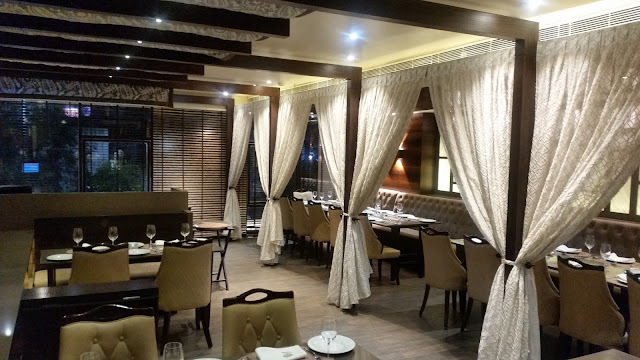 It is one of the few restaurants which can handle multiple cuisines really well, Chef Naveen and team has done a great job. The mocktail section also has a range of innovative drinks. 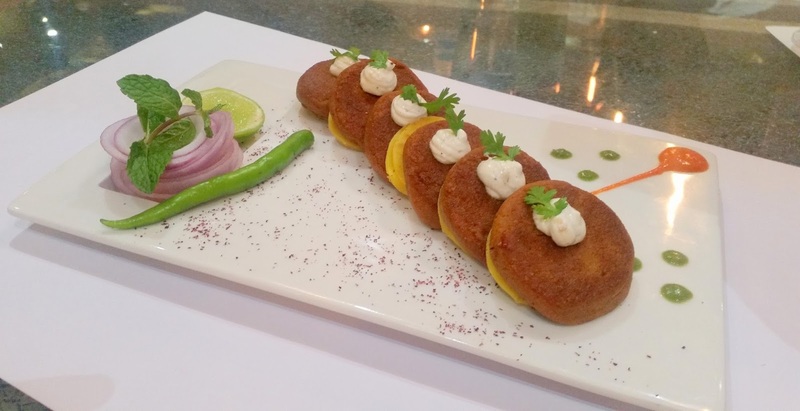 Great taste, innovative presentation and the variety in cuisine surely will help Tatva gain popularity in a short time.